Bronson Drilling was founded in 2002. 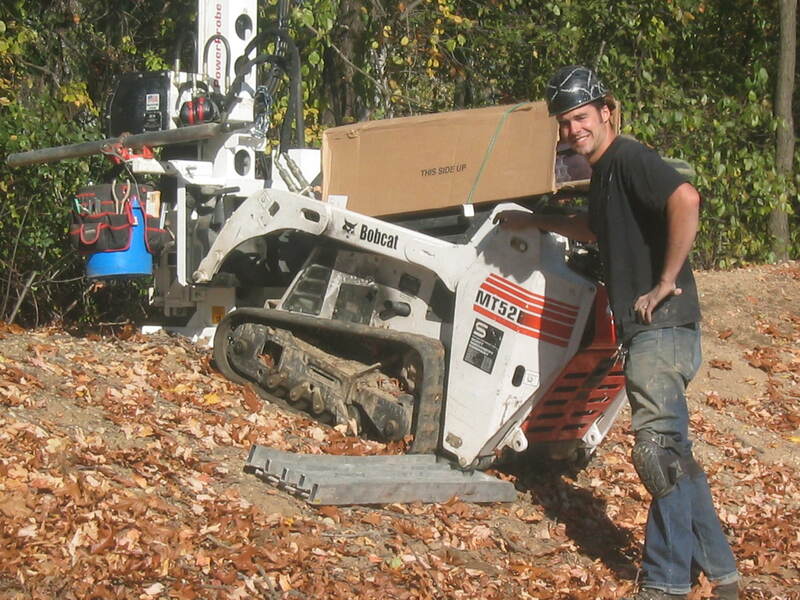 We serve the New England area, specializing in direct-push probing and limited-access environmental and geotechnical drilling services, including soil borings, monitoring wells, well decommissioning, soil vapor surveys, and in-situ injections. All of our direct-push services are available using a track-mounted machine that is 3’ wide for unsurpassed rig access, or using portable equipment where the drill rig is not an option. We are New England’s limited-access probing specialists. Additionally, we offer horizontal boring, which can be used for shallow utility crossings, for installation of remediation systems, and for soil vapor points installed sub-slab from a building exterior. We also have single-flight earth auger capabilities for shallow large-diameter SVE wells, footings and postholes, as well as additional Bobcat services for test pits and site work. We conduct concrete coring for geothermal systems and other utility-related foundation penetrations, or for concrete or pavement test cores for engineering analysis. We have touch-free excavation capabilities using an air spade, for pre-clearing and utility potholing. Daniel Bronson, president of Bronson Drilling, is a geologist (Tufts University) with consulting firm experience, both in the field and in project management. With that background, he can understand the needs of environmental and geotechnical consultants. We are able to provide field geological services and sampling on our own drilling projects to meet the needs of smaller consulting firms and LSPs who may lack manpower, or to assist national consulting firms with no local presence. Bronson Drilling is a National Ground Water Association member and Certified Well Driller (CWD); a Massachusetts licensed well driller, #880; a New Hampshire licensed driller #1905; a Massachusetts Department of Public Safety licensed hoisting engineer (hydraulics license); OSHA HAZWOPER and lead certified; a member and certified by the National Drilling Association and a member of the Massachusetts Ground Water Association.